The mobile phone market is undeniably having an impact on the compact camera market, and when phones are as well specced as the HTC One (M9), it’s not hard to see why. Images directly from the camera, in good light, are great, and certainly good enough for sharing online and looking at on your phone. If you want to print them out, low ISO shots at A4 or below are fine, but for higher ISO shots, then you will probably need to keep them to 7x5 or below. The camera app is easy to use, and gives you a good degree of flexibility with changing shooting parameters, and the fact that you can shoot in raw format is reasonably unusual for a mobile phone and is handy if you want to take some control later down the line. For this reason it’s also good that you can use a Micro SD card - those raw files take up a lot of space, and it also means you can get your photos quicker than having to sync up the phone with the HTC app. The Android operating system gives you lots of options to expand the camera’s functionality with different apps, and of course you can add sharing and social media apps such as Facebook and Instagram directly to the phone itself. At its current UK price of around £400 (sim free), the HTC One (M9) sits in the middle of the market - cheaper than iPhones, but a little more expensive than something like the LG G4. 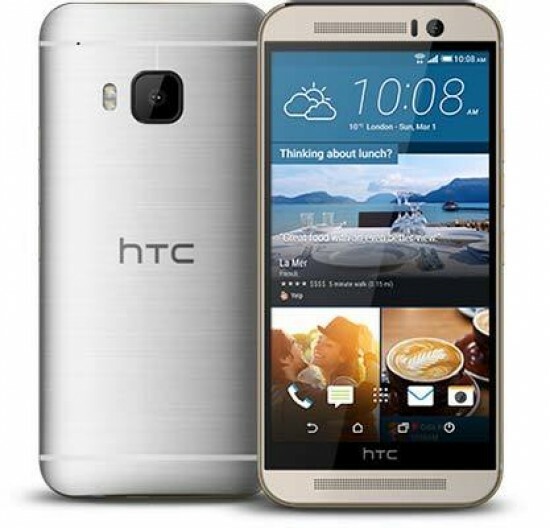 The HTC One (M9) is slightly larger than the iPhone 6S, putting it in the category of one the smaller smartphones currently on the market. If you prefer a very large “phablet” style phone, then this may not be for you, but if you prefer something a bit more pocketable, then you should get on well with it.